Exciting News for Rockwall!!!! You no longer have to go to Dallas for high end Couture Wedding Dress Shopping. 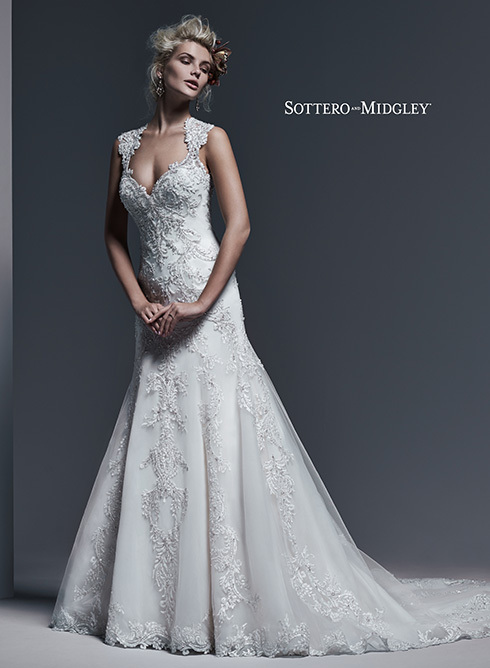 Providence Place Bridal Shop located at The Harbor is now carrying Sottero & Midgley, which is the Haute ‘Couture line for Maggie Sottero. 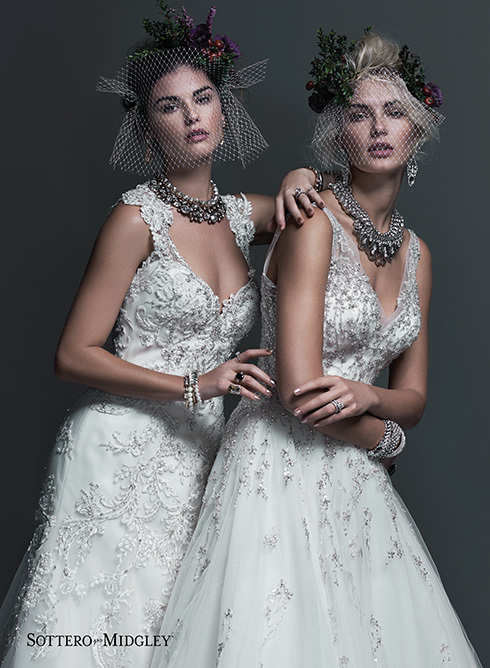 These dresses are absolutely beautiful. Our first dress sample arrived today!!!!! 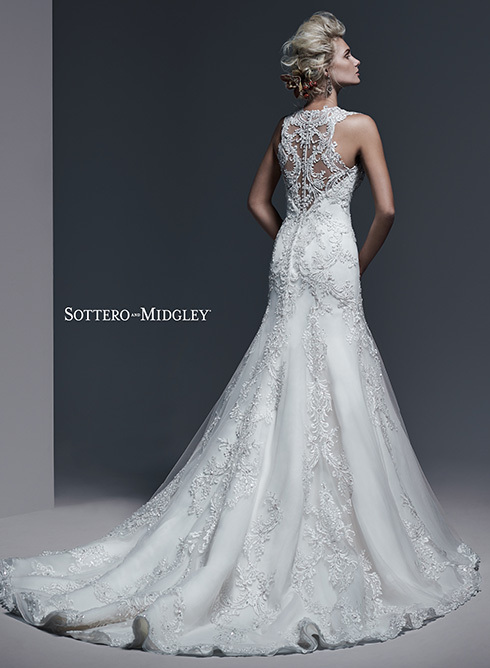 This is Sottero Midgley style Monticella. This dress is a bold lace appliques; accented with sparkling Swarovski crystals that trail the length of this extravagant A-Line wedding dress; complete with sweetheart neckline. The back has a dramatic illusion with added crystal buttons. STUNNING!! !